We work to avoid using proprietary parts. When we have to use them, we try to make it simple and easy to supply replacements. Otherwise, we will only sell the best-in-class OEM parts and components. As a licensed reseller for most OEM’s, we maintain a large inventory of critical parts, or have direct access to most parts and components. In addition, we also possess the machinery and skills to Fabricate most unique parts when necessary. The famous phrase “Time is Money” is never truer than with a dredge operation, especially when an unscheduled shutdown occurs due to a maintenance or part issue. Please call CDW Dredge Repair Service for assistance with any maintenance or repair project. When a Gearbox goes out, it brings all production to a complete standstill. There can be no forward movement until the Gearbox is repaired or replaced. 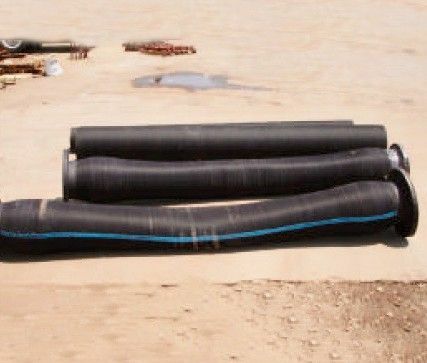 All experienced dredge owners/operators can attest, replacement or repair can be expensive and time consuming propositions. 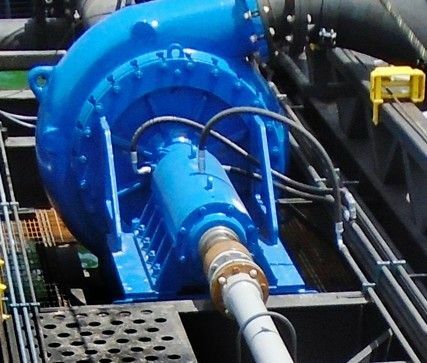 In order to avoid a potentially significant negative cash flow event due to an unscheduled shutdown, Custom Dredge Works is proud to offer our proprietary gearbox replacement program. We stock replacement gearboxes at our facility that are ready to be expedited at a moments notice to your location should a failure occur. 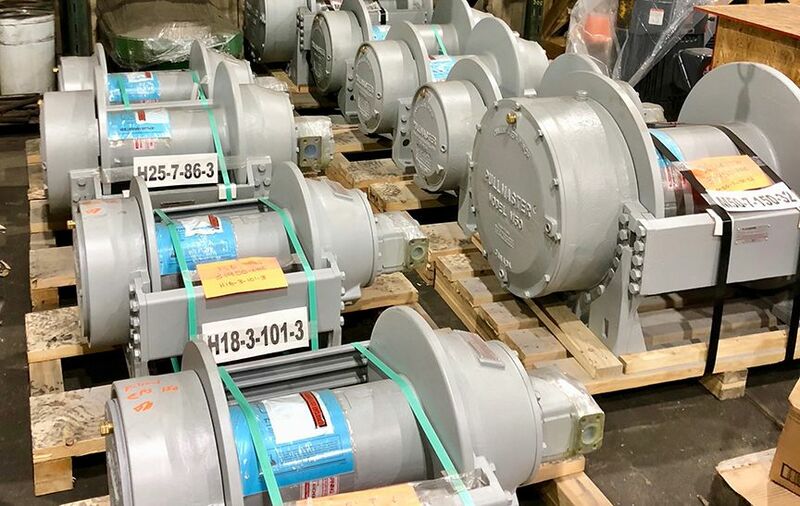 Once you receive the replacement Gearbox, simply ship the damaged Gearbox back to us in the same crate. We can rebuild your old box for you or you may choose to sell it to us for a core credit. This is a standard service at CDW, which we provide to all of our Dredge and Booster Pump clients with gearboxes nationwide. A Dredge chain is the cutting / conveying mechanism on a chain ladder dredge. Its function is to agitate and excavate material while keeping the suction mouth clear for pumping. CDW offers four different sizes of chain determined by the chains pitch. Typical set up for the chain is three plain intermediate links followed by a cutting link. Every other cutting link has a cross bar as pictured below. Selection of chain size is determined by the size of the material that needs to be passed. Below are some typical chain / pump setups. 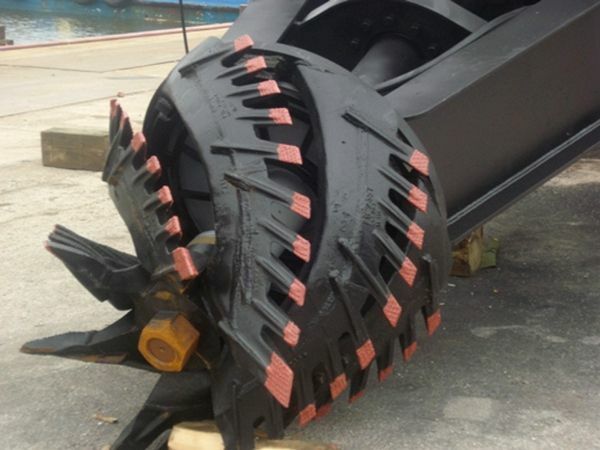 Please call CDW’s sales team to ensure proper fit, as our company can offer you custom dredge components. We have placed a tape measure across the openings so you may get a better idea of the size that might pass through the chain. 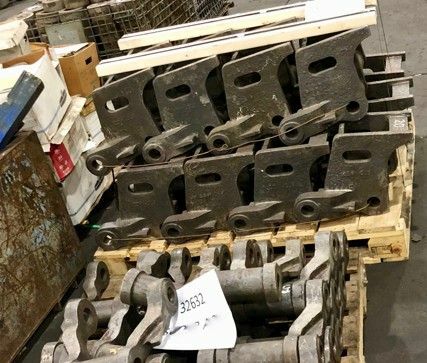 CDW stocks a majority of chain sizes. Please contact our sales team if you would like to order a part or receive pricing information. 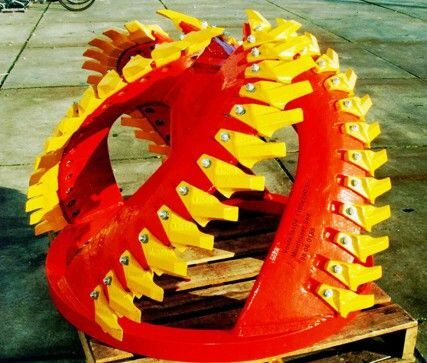 Cutter Head Suction Dredge is a type of dredge that uses a rotating cutter sometimes called a crown or a basket to loosen material at the suction mouth of the ladder. Cutterheads are available in a variety of sizes and types. 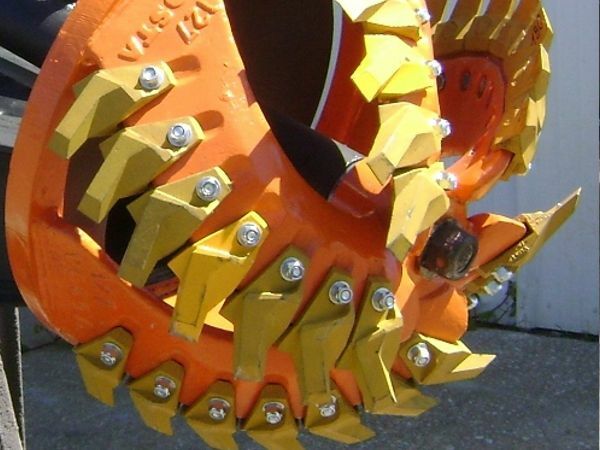 At Custom Dredge Works we currently have designs on Serrated, Pick tooth, Plain edged and Scalping style cutterheads on dredges with 8”-20” discharges and ladders to 150’ plus. 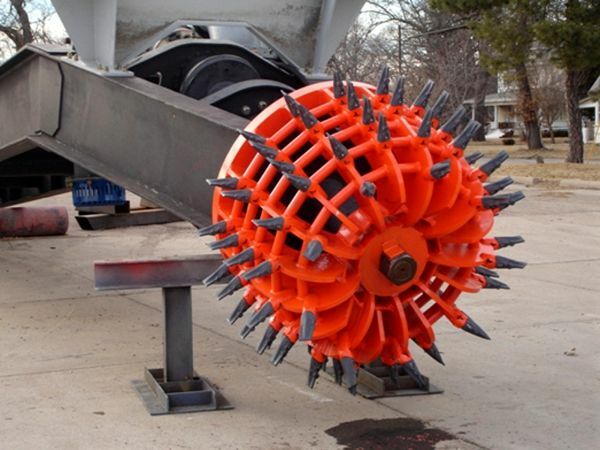 Custom Dredge Works manufactures cutterheads in a variety of styles and shapes. If you still use a Florida Style cutter or even a scalping basket we can build to suit as well. Please contact us with any replacement parts needs you may have. As much description and information (serial number, make & model, sizes, etc.) as you can provide us for the parts and components you seek is always appreciated. Pictures are also sometimes very helpful in aiding us to identify the correct part or solution for your needs.